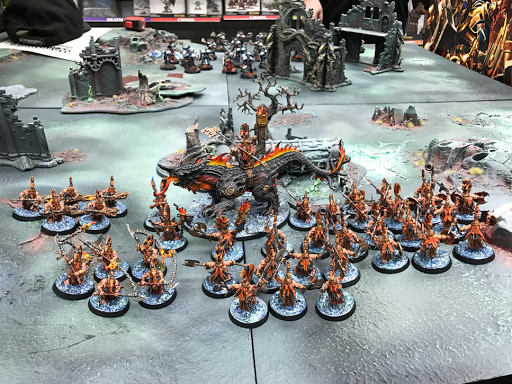 Age of Warhammer: Army Showcase. 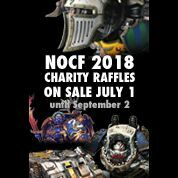 Fyreslayers Amy Snuggs. Army Showcase. 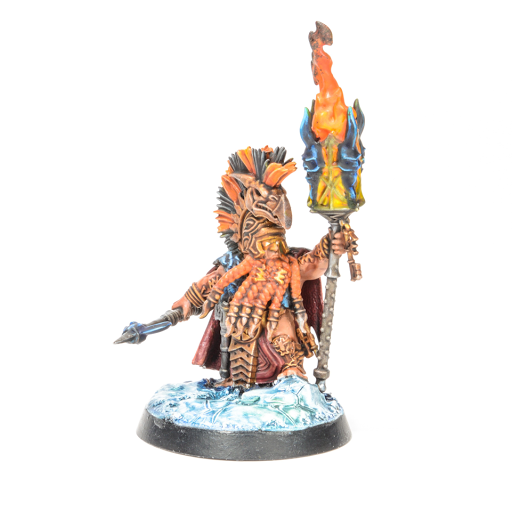 Fyreslayers Amy Snuggs. Today I have a very special army Showcase for you. 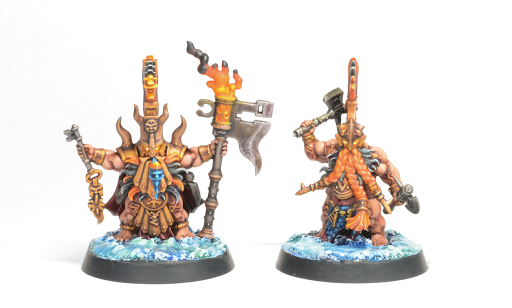 Amy Snuggs, who I'm sure some of you already know, has given me the privilege of showing of her Fyreslayers army, which I think look really fantastic. So without further ado, here are a few pictures and a little something from Amy herself. I've been in the hobby for about 2 and a half years, painting is my main interest although I enjoy gaming too. 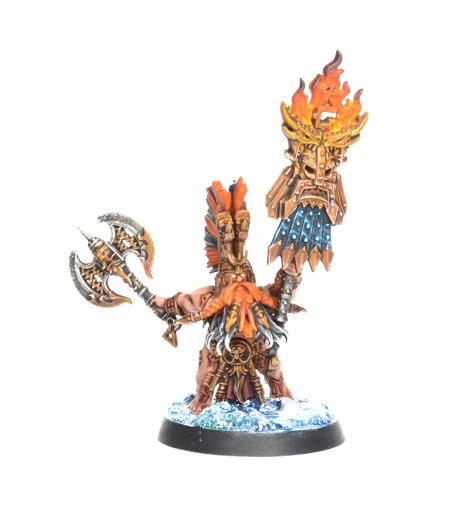 I love Age of Sigmar because of the amazing lore and models, there are so many ways to express your imagination. 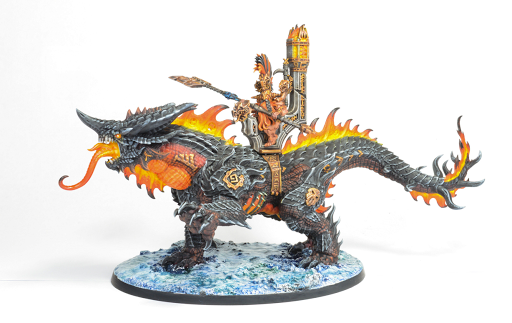 I instantly fell in love with the Fyreslayers when I first saw them, I loved the models and the lore behind them. 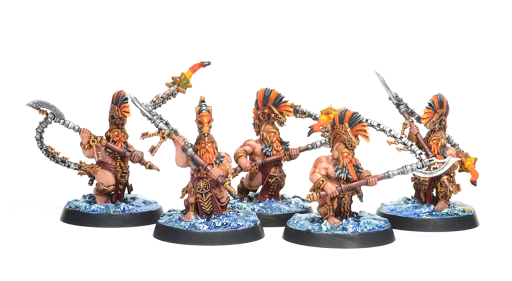 I chose Fyreslayers because of the opportunity to paint a small force in really bright colours which would stand out. 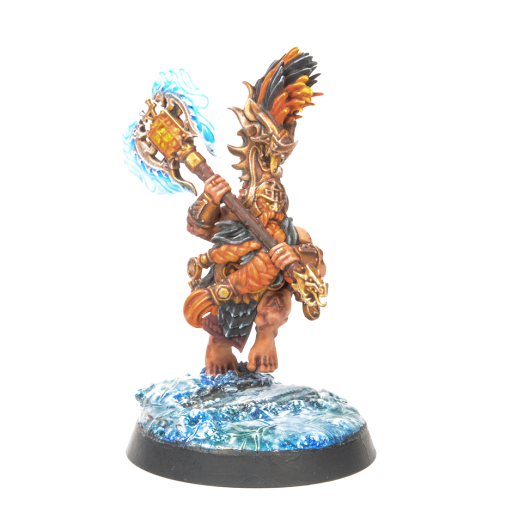 I saw the scheme for Lofnir Lodge in the battletome and loved the contrast between orange and black, so decided to paint mine in this scheme. 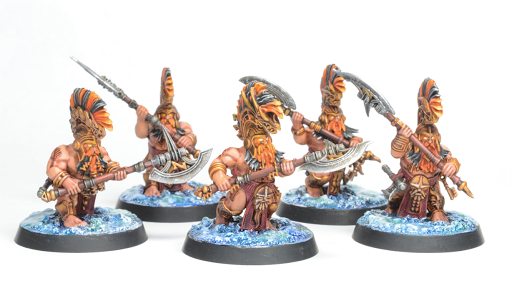 I really enjoy playing with the Fyreslayers, they're really fun to play and I love their play style.